honeycomb wax good for teeth? when i eat raw honeycomb and chew on the wax, it feels like a soothing massage for my teeth or something. i hear theres nothing of value in a honeycomb though. could it be good for your teeth to chew on comb? Re: honeycomb wax good for teeth? The wax is great as it reduces the blood sugar rush that would otherwise occur. do you think the wax is great to swallow? Honey in a jar hardly ever has honeycomb in it. The wax is all in the honeycomb, afaik. On the rare occasions that there is honeycomb in a jar of honey, the honeycomb is usually preheated prior to being put in there, so is useless. Best honeycomb is dark like in the image above. Heather honeycomb is, imo, the best tasting honeycomb. Would you still reccommend taking the raw unfiltered honey mentioned even without the honeycomb? Yes, if you are absolutely sure it's not heated above 40 degrees Celsius. I used to live in the UK where the law allowed honey to be labelled raw as long as it was "only" heated to anywhere up to 80 degrees Celsius for a short while. My experiences with any liquid honey labelled raw in the UK were all bad, leading to too much blood-sugar-related issues, so I stuck to raw honeycomb from local farms(never from abroad if possible) and I still do that most of the time in Austria. I see. Thanks for your valuable advice. Do you mind sharing what you are eating as of late? Errm, I overindulged in recent months so am now on a water-fasting regime to lose weight! My usual diet consists of raw wild game muscle-meat(wild mallard/wild moufflon/wild boar), raw wildcaught seafood(raw swordfish, raw tuna etc.) plus raw minced meat from grassfed cattle . I also eat raw plant food such as bananas, raw oranges, and grow raw sprouts of various kinds for consumption.Unlike with raw animal food, I do not generally care about whether the fruit/veg is organic, though, every now and then I will visit the local organic supermarket and buy raw fruit/veg from them instead. 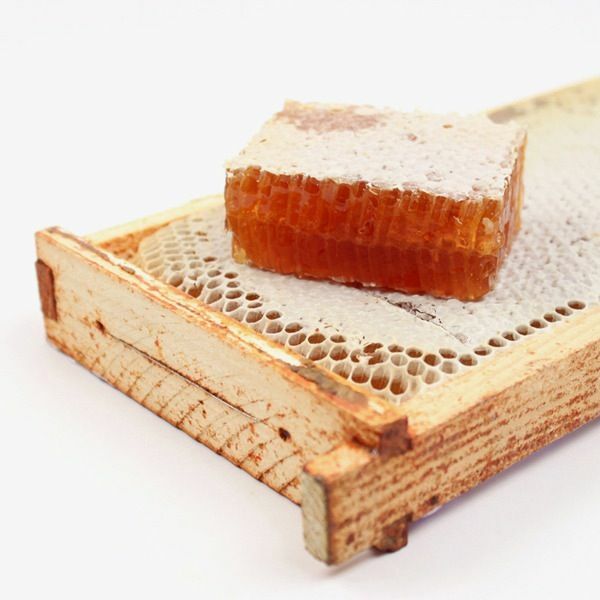 In the summer, I will go for raw honeycomb and bee pollen. Oh, and I'll even get raw organic/free-range eggs at times but I view them as junk food, as reportedly, RVAFers often claim that chickens fed mostly carnivorously produce the only really decent eggs.